It was scary for many consumers and not everyone could receive the care they needed in a comfortable fashion. It was tagged as a pain relief speciality rather than a wellness creating entity. It is inconsistent in its delivery. It is not affordable for everyone on a regular basis. 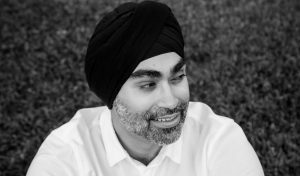 So, in 2008, Manjit founded Divine Spine to change the adjustment experience the way Starbucks changed the coffee experience. Divine Spine offers comfortable, effective care through our computerized adjusting system. Finally, people are able to receive the care they deserve without fear or uncertainty in a convenient, premium fashion. Whether you have symptoms of pain or simply want to maintain a high level of health, you must experience the Divine Spine difference.